Also making the list is a standalone single from Nashville’s Michaela Anne who joins forces with Southern California’s Sam Outlaw on “One Love Song.” Sam recently moved to Nashville himself, but before the move he helped produce a new album from Michaela with details forthcoming. Another great country song picked out of the ether is “Fire in Lace” from Edmonton, Canada’s Andrea Nixon. It is from her album Diary of a Housewife which was released a while back, but the song is seeing its first digital release as a single. If you’re looking for some twang, it comes hard and heavy from Texas country’s Cody Johnson, who just released his major label debut Ain’t Nothin’ To It. The reflective and well-written “Monday Morning Merle” makes the playlist, as does another track from a major label artist in the form of Randy Houser’s “Evageline”—the final track off his surprisingly great new album Magnolia. And last but not least is the song “Wherever You Are” off the brand new album by The Steel Woods, Old News. This is a legitimate Song of the Year candidate already here in January. Glad to see Ward Davis and Whitey Morgan staying toward the top and I love the new Cody Johnson entry. His new record is gonna be big! I thought the new flatland Calvary album lacked production in certain areas. In fact it’s kind of Killing Me album for me but apparently I’m all alone in this thought process…. I will say come back down is amazing and probably going to be my song of the year for 2019 just some of the album sucked. I was hoping to have a Flatland Cavalry review posted on Friday, but chose to spend some more time with it before finishing the review. Hopefully it will be posted soon. Trigger,. Not thing about Reggie Young! By the time the death of Reggie Young reached my desk, The Associated Press and Gannett had distributed some 150 obituaries of him around the internet. Mine would have been 151, and useless to the public. The death has not gone unnoticed, or ignored, and if and when I have something valuable to add to the story and his legacy, I will do so. Is there a way for you to publish this on Apple Music too? 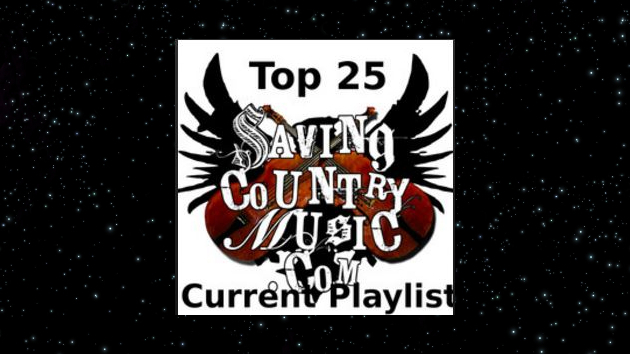 The Country Exclusive playlist hasn’t yet been updated as of 1-21, will be patient as this is worth the wait. I saw Jamie Lin Wilson last night at Gruene Hall and as good as the album version of “Death and Life” is, live, with just her and her band, was breathtaking. Just thought I’d put this here ………well because there’s really nowhere else to put it. After seeing Sarah Shook & The Disarmers Friday night at Lincoln Hall here in Chicago play an amazing show to about 500 of us I decided to go the Saturday night show at a small venue I’d never heard of or been to about 90 miles southwest. I pulled into a very small town in the middle of nowhere called Lasalle, IL (East Bumblefuck!) to make a long story short it was a small restaurant called the Uptown Grill and inside there was a tiny banquet room setup with about 80 chairs. 50 of us were treated to not one but 2 sets by the full band totaling about 17 songs. She played “The Way She Looked At You” (now my favorite song thanks to this site) both nights. The band played as if they were playing a fest of thousands smiling and joking all the way through. Afterwards Sarah came out to chat, sign merch, and take pics with us etc…. She was so nice and friendly. Gave me a big hug, took a pic. 🙂 I love to see her smile. The most bizarre intimate enjoyable show I’ve ever seen in 45 years of going to shows. My “parting words” to her were….”don’t let em change you Sarah” she said “don’t worry I won’t”. A night like this is the reason I still love music. Steel Woods- Had not heard of them. Checked them out. Like them, but the fact that they sound like Chris Stapleton… how many Chris Stapletons do we need?